Represented by the Sher Gallery at the "Village at Gulf Stream Park" in Hallandale, FL. Participated in the "AFCC WINTER EXHIBITION" for 8 consecutive years. Participated in group installations "PIECE-BY-PIECE 1, 2 AND 3". Solo show titled "COLOR UP". Participated in the group exhibit "SOUL CLAP". John F. Kennedy Art Project titled "ART FROM A PRESIDENTIAL HOME". 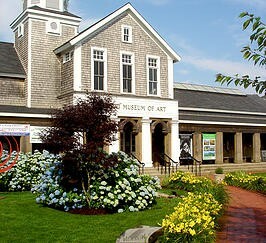 Participated in "FISH FOR THE ARTS" exhibit to raise funding for the Cultural Center of Cape Cod. The auctioned piece sold for the top dollar bid of $2,800. Participated in both "MAKING FACES" and "LURE OF THE FISH" exhibitions. Participated in the invitational show "MEMORIES". Exhibited works in the "25th ANNIVERSARY EXHIBITION" . Donated the painting "Inner Gaze" to the museum's permanent collection. Painting "Conflict" is chosen as the cover design for the 2015 documentary film "JOURNEYS IN THE LIGHT: UNTOLD STORIES" by filmmaker Janet Robinson. Exhibits in "POLITICAL CONCERNS" invitational exhibition. Exhibited work in "OUT OF AFRICA: ART THAT ENRICHES THE SOUL" exhibition in collaboration with the John McWilliam Collection. Permanent "Resident Artist". 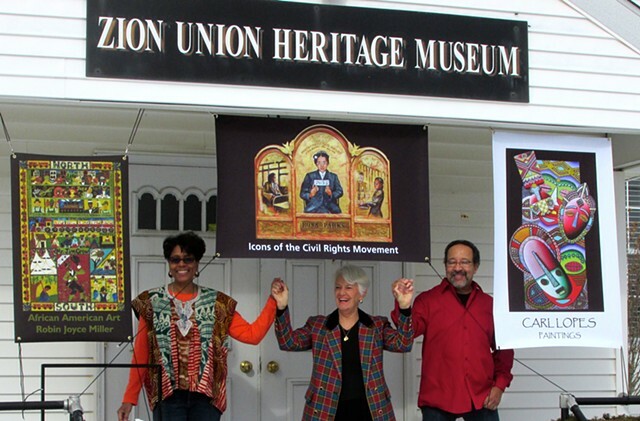 The museum displays Carl's paintings as part of their collection of Cape Verdean and African-American art. Displayed in the AFCC's "ANNUAL WINTER EXHIBITION" at the Cotuit Center for the Arts, Cotuit, MA every year. The Arts Foundation of Cape Cod presented Carl with the "ARTS EDUCATOR OF THE YEAR" award at the annual Creative Arts Conference. Donating Artist for the "ANNUAL ART AUCTION". 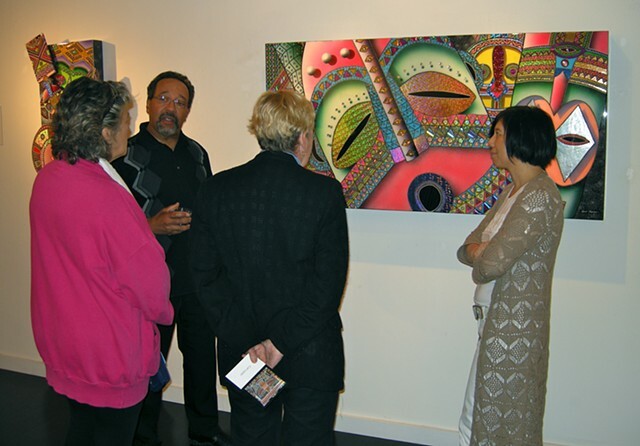 Exhibiting Guest Artist at "MARDI GRAS NIGHT". Cape Cod and Islands Art Educators Association invitational exhibition "TEACHERS AS ARTISTS". Solo exhibit titled "COLOR BURST". 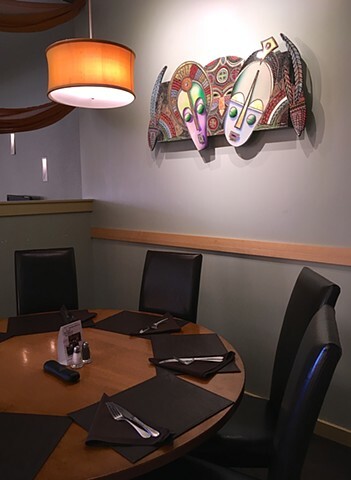 Featured artwork in "WICKED" restaurant at South Cape Village in Mashpee, MA. Solo show titled "A FANTASIA WORLD". 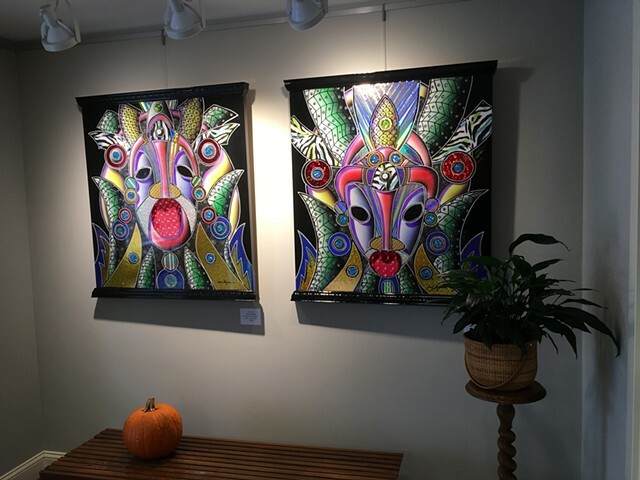 Carl's paintings have periodically been on display in the main lobby of the Barnstable Municipal Airport in conjunction with the Cape Cod and Islands Art Educators Association. 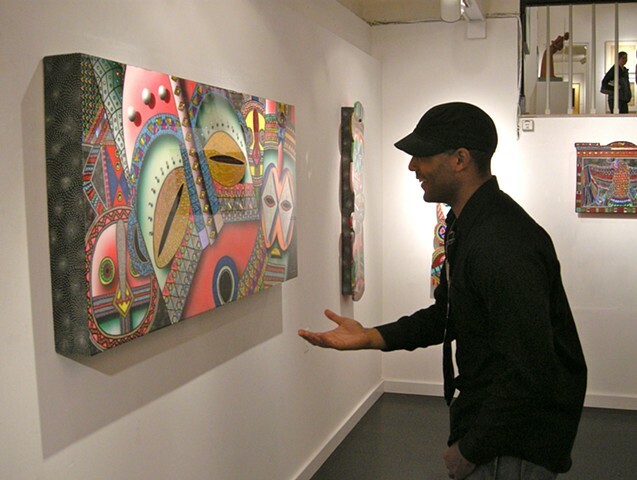 Solo exhibit titled "SPIRITUAL DREAMS". Paintings were displayed in the "DOMINANT GRAY", "WINTER INVITATIONAL", and "ALL THINGS VENUSIAN" group exhibitions. Guest review writer for "ABSTRACTS EXHIBITION 2017". Guest juror and artist for "ABSTRACT EXHIBITION 2016". Participated in the group exhibitions "MICRO/MACRO - THE EXTREMES" and "ABSTRACTS EXHIBITION". Featured artist in the group show "MYSTICAL INSPIRATIONS".